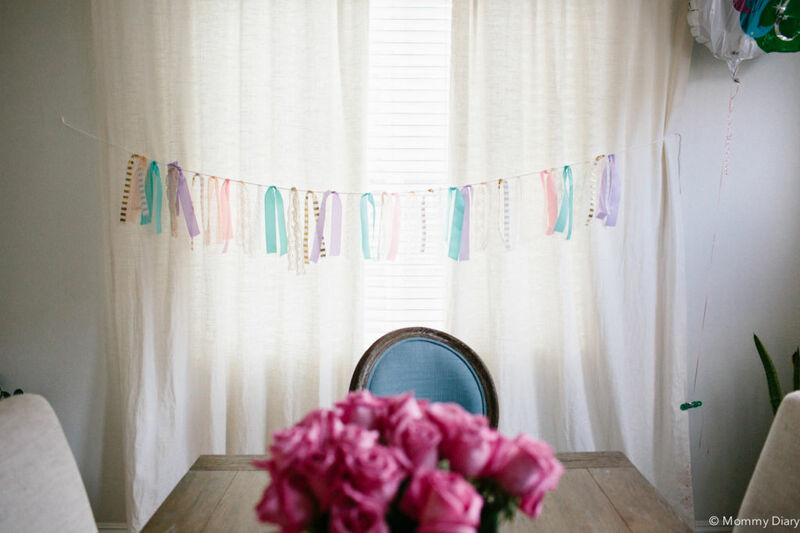 Until a few years ago, I made tassel banners made from tissue paper for my kids’ birthdays. The result was cute, but I didn’t like that I can only use them once because the tissue will get tangled and damaged while being stored. Plus cutting those tissue papers took longer than I wanted. 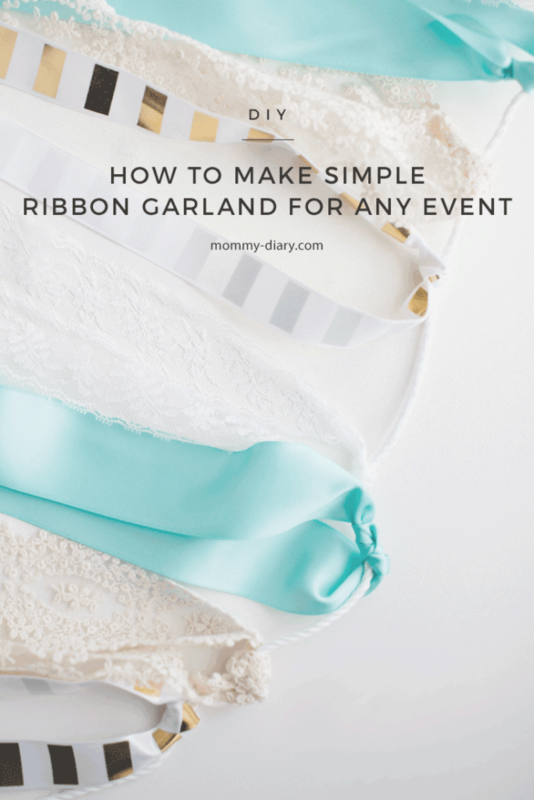 This year I discovered a super easy way to make birthday ribbon garlands made from a simple string and ribbons you can find at any craft store like Michael’s. 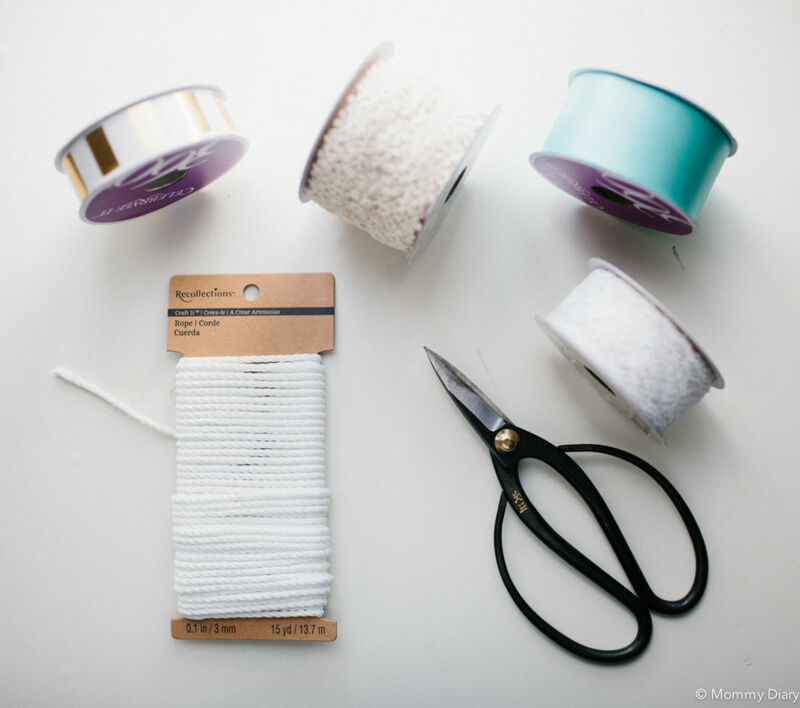 The best part of all, you can reuse them over and over again because the ribbons last longer than tissue paper. 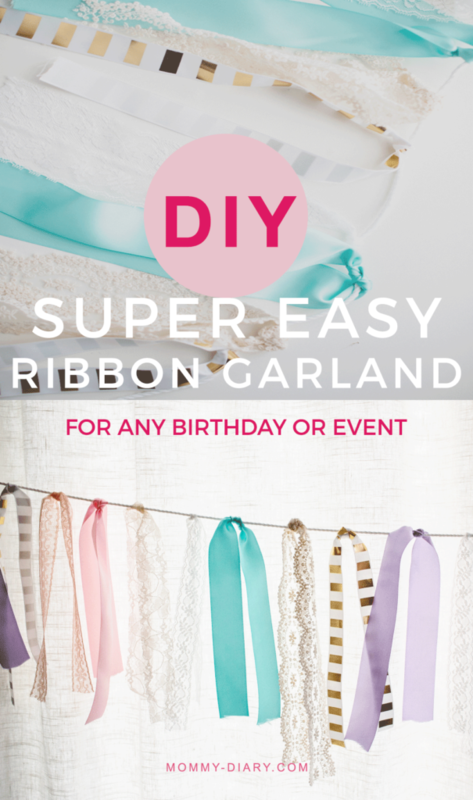 Here is my simple instructions on how to make a DIY birthday ribbon garland for any birthday or event. 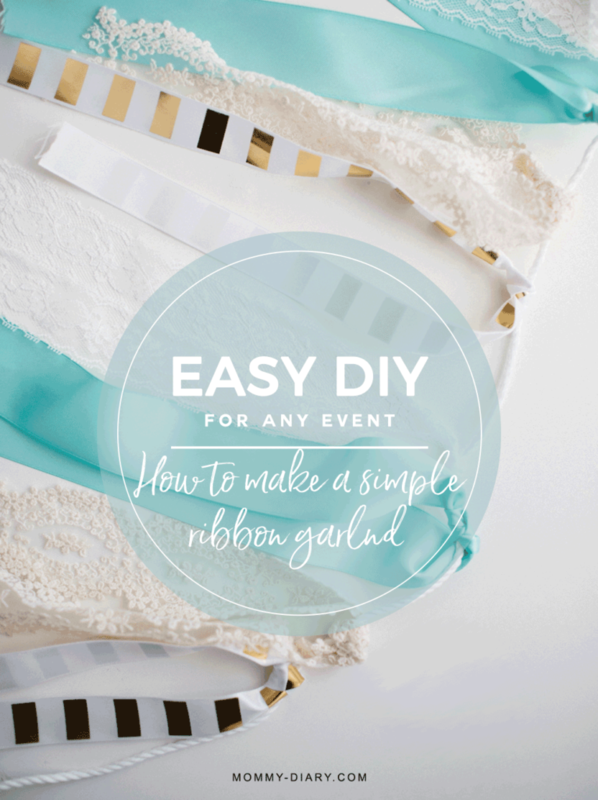 *Tip: Buy at least two ribbons of the same color. One is usually too little. 1. Cut the ribbon to same lengths. Remember you’re tying them around the string so make sure it’s a length you like. 2. Lay out the color pattern. 4. Then simply tie the ribbons on the string one by one. Note that the lengths and color patterns don’t have to be perfect. I would recommend mixing up colors, patterns and textures. As you can see, I used the main color (mint), then added a hint of white and gold and some white and beige lace to add interesting textures. When I was done, my daughter decided she wanted a “unicorn theme” instead, meaning I added more colors (lavender and pink) to the original color palette. What’s great about this way is that you can reuse the same banner over and over again by replacing the accent colors. As you can see, I didn’t make mine too full due to lack of time. 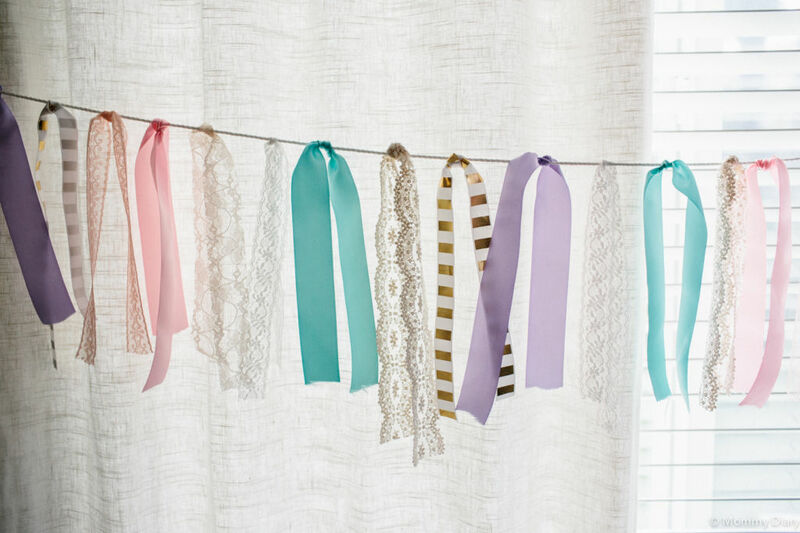 You can always add more ribbons to make them fuller. You can see how this banner was used for my daughter’s birthday on this post called “You Are Magical: Unicorn Birthday Party”. What do you think? Isn’t it so simple and pretty? If you liked this post, please pin the image below. It helps other parents find this article for more inspiration and ideas! 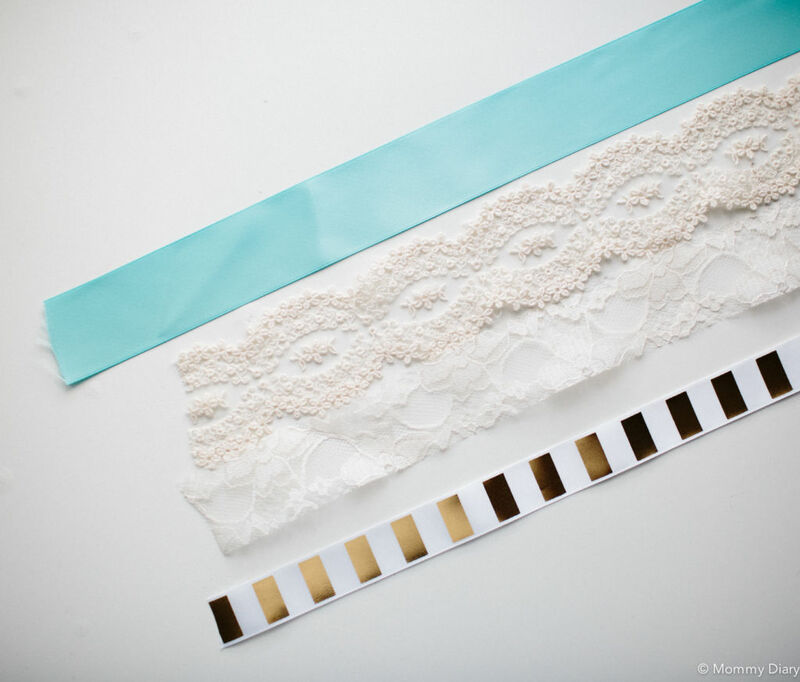 I love the gold white and teal colors together and that lace texture is just the icing on the cake. 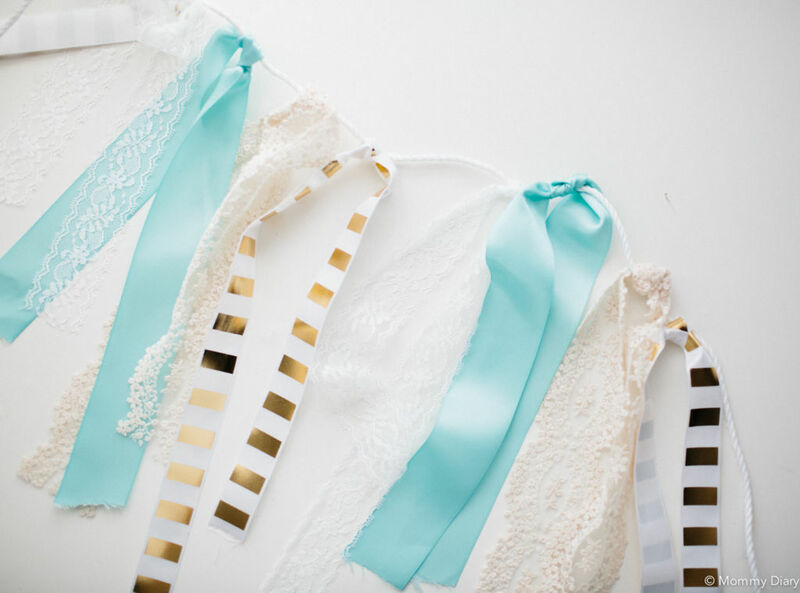 I love the lace ribbons too! Softens any colors. This is such a cute and easy idea! I love the color choices you used! Thanks so much. I love these colors too! I know, I see those at the dollar section all the time and love it but the colors are never right. You can totally make one yourself! Loved this DIY tutorial!! It’s one I’ll definitely use for my daughters first birthday. Thanks!! Thank you! Super easy too! So sweet. I love how it just adds a subtle pop of detail and colour. this is such a pretty, cute idea! I love crafty things like this! I think i want to do that too! Thank you! It’s very easy to make too!